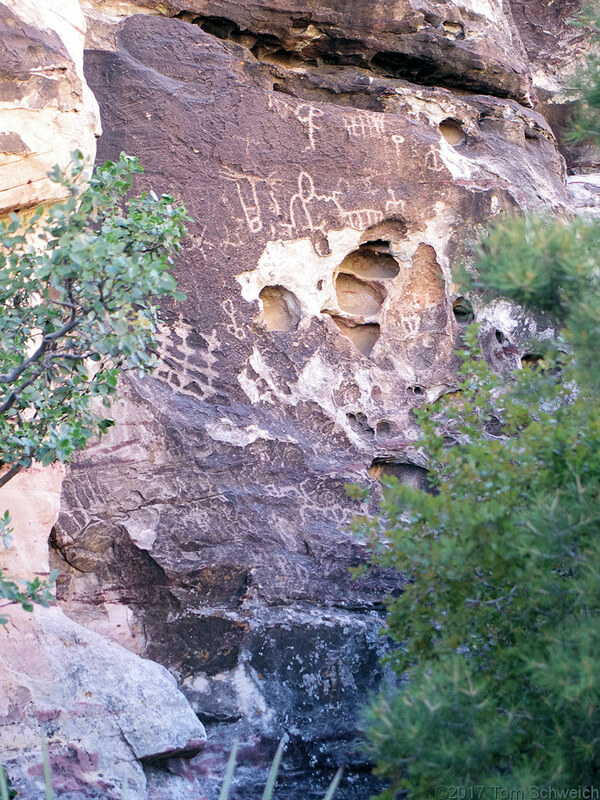 Photo: Petroglyphs at Willow Spring. Eastern Mojave Vegetation Petroglyphs at Willow Spring. Other photos about Geography - Nevada or Red Rock Canyon National Conservation Area.